I hope you all had a chance to meet Liz Lange yesterday on BEHIND THE Q. If not, do pop on over – I promise you’ll have fun! And if you’ve already seen the video in the post, then you know her favorite fashion eras are the 60s and 70s – a time of both classic and updated glamour. Tuesday’s post on the opening of the new David Webb store harkens back to the style of this fashionable era as well. Today’s film, in my attempt to tie it all in, continues in the tradition of 60s style that was featured in How to Steal a Million and Two for the Road, films I’ve previously covered. And like the former, deals with a theft, this time appropriately of jewels, or more accurately a single jewel. And so by now, I’m sure you’ve guessed that this week’s film is the frothy and frolicking Pink Panther. 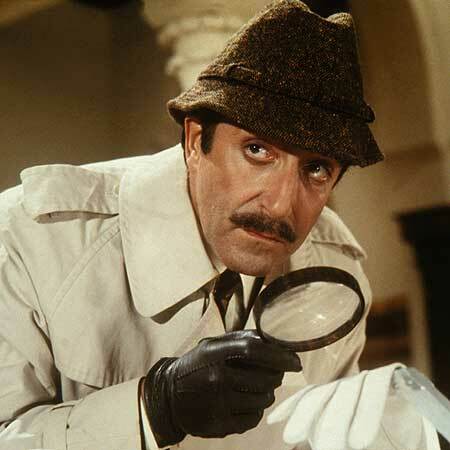 Although not necessarily my favorite in the Pink Panther series, it is still the introduction of the brilliant Peter Sellers as the bumbling Inspector Clousseau, an iconic film character whose miscalculated antics are put to better use in the later films. Although Sellers of course steals the show, the focus in this film is really on the dashing David Niven and a very young and handsome Robert Wagner. Blake Edwards doesn’t really hit his stride with this series until A Shot in the Dark but there is still enough in this farcical physical comedy to make it worth watching. The glamorous Alpine ski resort of Cortina is the setting and the sultry Claudia Cardinale, above, in her role as an Indian princess is appropriately glammed out. 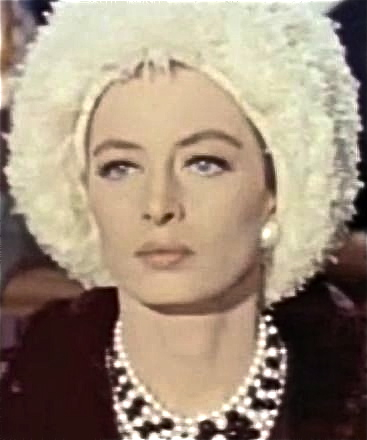 The elegant French Capucine, one of the early one-name actresses, is also glorious as Sellers’ adulterous wife. The plot is a twisted melange of sneaky sexual liaisons, half- brained hidden agendas and secret identities. Blake Edwards, the master of such comedic romps, had originally tapped Peter Ustinov to play the inept French detective. Lucky for us that he dropped out and Sellers stepped in to make the role of the pompous policeman his own. This film also introduced the now famous animated opening sequence with the fabulous Henry Mancini theme music. It’s all here in the original trailer – enjoy!! This entry posted in entertainment, film. 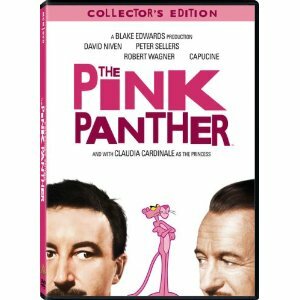 Entry Tags: Peter Sellers, Robert Wagner, The Pink Panther Bookmark the permalink. My father and I went to every Pink Panther movie together. We adored Inspector Clusot (Sp?) I should re-watch as I am sure much of it was lost on me in my youth. But this post made me smile. Thank you! The theme song alone always makes me smile! I love the Pink Panther series. It was a favorite of my Dad’s when I was a kid–we always thought that Inspector Clousseau was hilarious, but didn’t get most of the more sophisticated side of the humor. It’s so much fun to watch again and see what we were missing! It’s so fun that my boys now love the Pink Panther. This is such a classic!!! Have a perfectly wonderful weekend, Stacy!! Love these Pink Panther movies; they are always so funny and slapstick. You really have tied it all together nicely, with the 60’s theme. And of course I loved your review of “Two for the Road,” one of my all time favorites. I could kick myself for not going into the Milly store, as I passed right by it last week when I was in New York. Loved your “Behind the Q” this month. Great information. These women that you feature are so inspiring. fabulous film…and what a great one for this weekend..
was wanting a good and fun detective film but wasn’t sure exactly which one..
One of my favorites! Great choice. Makes me smile thinking about it. Have a good weekend! I can’t tell you how long it has been since I watch the Pink Panther! I am definitely getting this for the weekend. I love these movies. His accent–HA! Remember the one where he is fully dressed and nonchalantly sitting at the side of a pool…as he watches a beautiful girl dive into the pool next to him…he leans back and falls in? so funny. 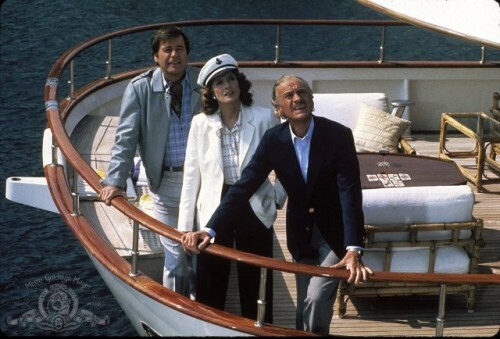 What a classic movie and perfect for weekend summer viewing. I’m off to check out your Liz Lange interview! Hope your weekend was fab! 80 queries in 0.504 seconds.